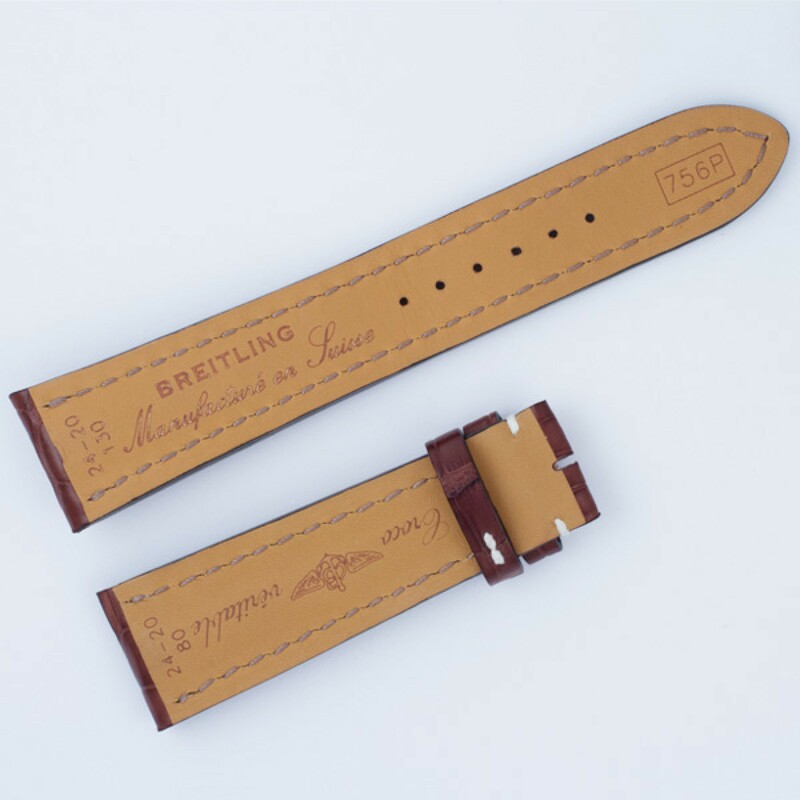 Breitling Brown Crocodile Strap With White Stiching (24x20). 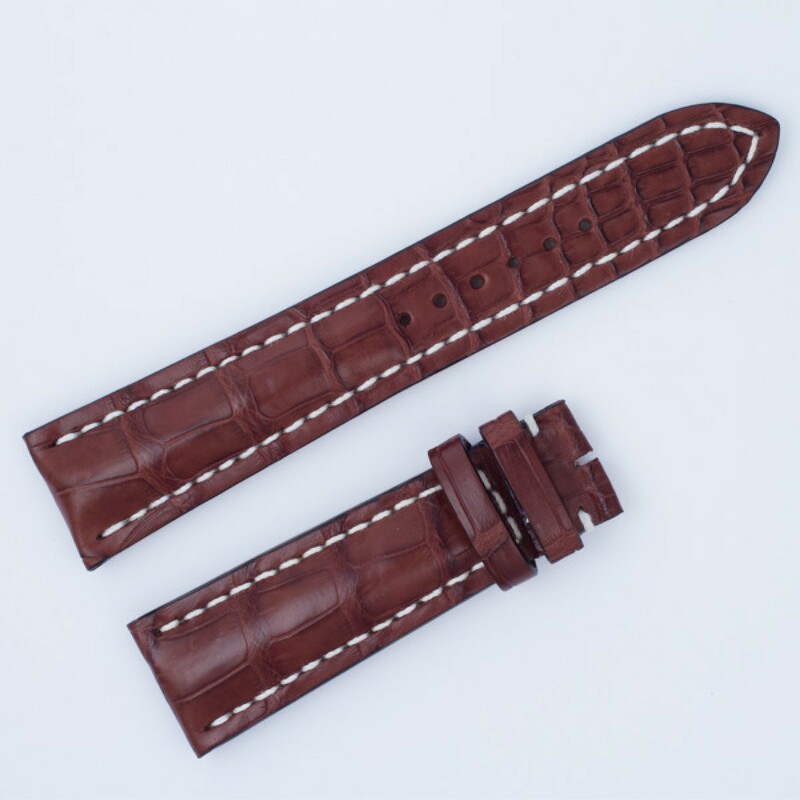 Length of 5 1/4" long piece and 3" short piece. 24 mm at lug end and 20 mm at buckle end.